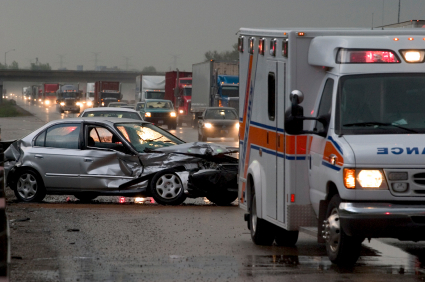 Ontario has a very complicated accident benefits system for car accidents. Car accident lawyers have to keep up with the changes in the laws, which occur regularly. If you or a loved one has been hurt or injured in a car accident, you are allowed to claim accident benefits. For some, the most important group of accident benefits are those relating to income, caregiver and non-earner benefits. All of these benefits represent money which is potentially available to you in the event that you are not able to lead a normal life as a result of your car accident. The thing that insurance companies DO NOT tell you, is that you have the right to chose which benefits you would like. This is called an “election”, and there is a special form that you must complete in order to elect one of these three benefits. If you DO NOT elect one of these three benefits, then the insurance company will pick a benefit for you; and it will likely be a benefit which is advantageous for them, and not for you. The first benefit which you can elect is called an “Income Replacement Benefit” or IRB. An IRB is meant to do exactly what is says it does. It is meant to replace your income in the event that you were earning an income before your car accident. If you did not work or earn an income in the year before your car accident, then there is no point to electing an IRB. You will end up with zero because of the ways the laws are worded for IRBs. In the event that you worked, you may be entitled to 80% of your NET pre-accident income, up to a maximum of $400/week. For many self-employed business owners who report low incomes, it can be difficult to reach this $400/week maximum because their tax returns show that they were earning very little. But for other accident victims with regular and steady paying jobs, proving entitlement to IRBs at the maximum rate is a much different story. The second income benefit which you can elect is called a “Caregiver” benefit. This is designed for the person who was not working/earning an income before the accident, but who was primarily responsible for the care of another. Accident victims who cared for dependents like young children, the elderly or sick people may be entitled to a caregiver benefit. The caregiver benefit is valued at $250/week, with an additional $50/week for each additional dependent. This benefit can get very high for primary caregivers in large families or who have a lot of dependents. One former client was the primary caregiver for 7 dependents and was collecting; that’s $550/week in caregiver benefits. This law certainly recognizes the value of stay-at-home caregivers. The final income benefit is called a “non-earner-benefit” or NEB. NEBs are for people who were not earning an income before the accident, and who are not primary caregivers for anyone. These benefits are payable if the insured accident victim is disabled from their regular activities of daily living. NEBs are payable at a rate of $185/week, with special rates also available for students. Whether you earn an income or not; whether you are the primary caregiver or not; Ontario’s accident benefits system has some options for you to select. The problem is knowing which benefit to chose, and how to make that selection. Goldfinger Injury Lawyers has the car accident lawyers who know how to make the best election picks for our clients to ensure they get the most out of their car accident benefits. You can find out more by visiting our website and obtaining a free consultation.